Despite today’s unbalanced dairy markets and the decline in U.S. exports in 2015, the U.S. Dairy Export Council (USDEC) and the vast majority of industry analysts continue to project a steady rise in global dairy trade well into the future. 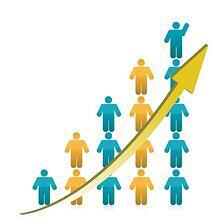 One of the main reasons is the unrelenting population growth of developing nations. 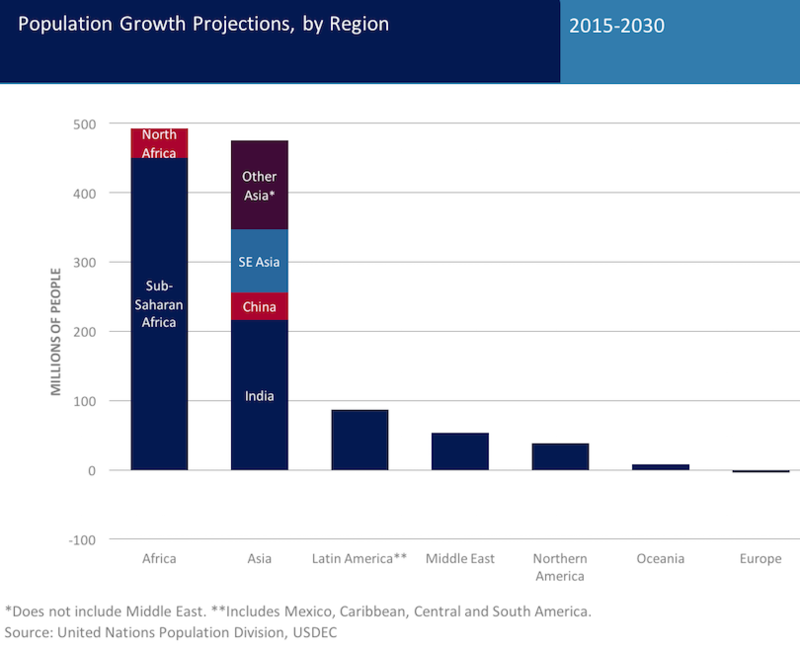 From 2015-2030, the United Nations Population Division projects world population will rise by nearly 1.2 billion people. As the chart below shows, only 3 percent of that increase (around 35 million people) will come from the United States, Europe, Australia and New Zealand—the world’s four dominant dairy suppliers. More than 1.1 billion—a whopping 97 percent—will issue from Asia, Africa, Latin America and the Middle East. “Population trends clearly attest to future demand growth and starkly illustrate why such opportunities lie outside U.S. borders,” notes Ross Christieson, USDEC’s senior vice president, market research and analysis. Christieson cited these assumptions underlying global dairy demand in his USDEC report, “U.S. Dairy Export Prospects: Looking out to 2020.” The report forecast a compound annual growth rate for international dairy trade of 3.7 percent through the end of the decade.